Built 1910 by Dublin Dockyard for the Commissioners of Irish Lights, ARCTIC PENGUIN is a light vessel with a hull of iron and steel. She served on the Daunt Rock Station from 1910 to 1920 and thereafter was used as a spare light vessel. She was sold out of service in 1966. Purchased by T. W. McSweeney in 1966, she was converted to a youth adventure training vessel and renamed Halloween; the conversion was to a fore-and-aft schooner. In 1982 she was purchased by D. Norris and renamed ARCTIC PENGUIN with plans to convert her to a 20 passenger cruise ship. 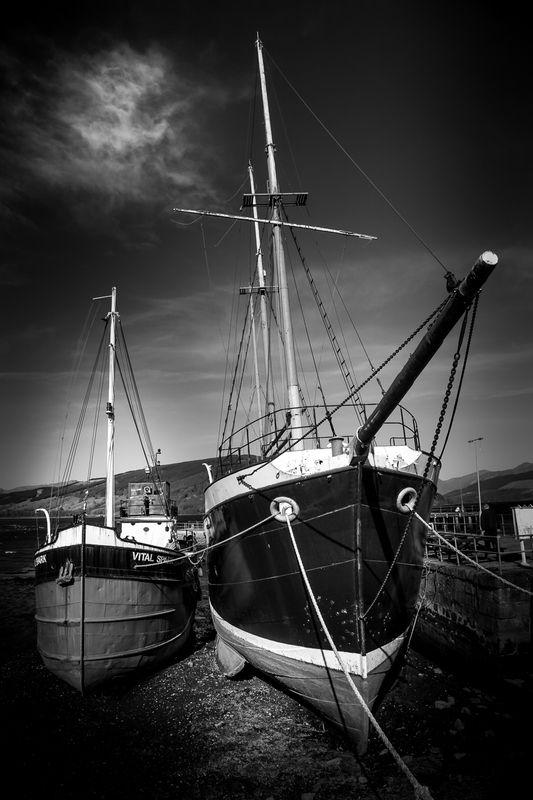 In 1988 she sank after hitting a submerged object, was salvaged and laid up at Renfrew. 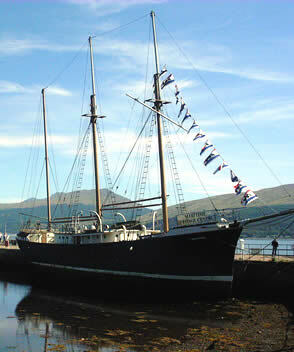 In 1995 she became part of the Maritime Heritage Centre at Inveraray, her initial smart black and white livery perfectly attuned to this unique designed village on Lochs Fyne and Shira. He later and slapdash repaint in blue and cream, still her livery, did no favours either to the ship or the town. 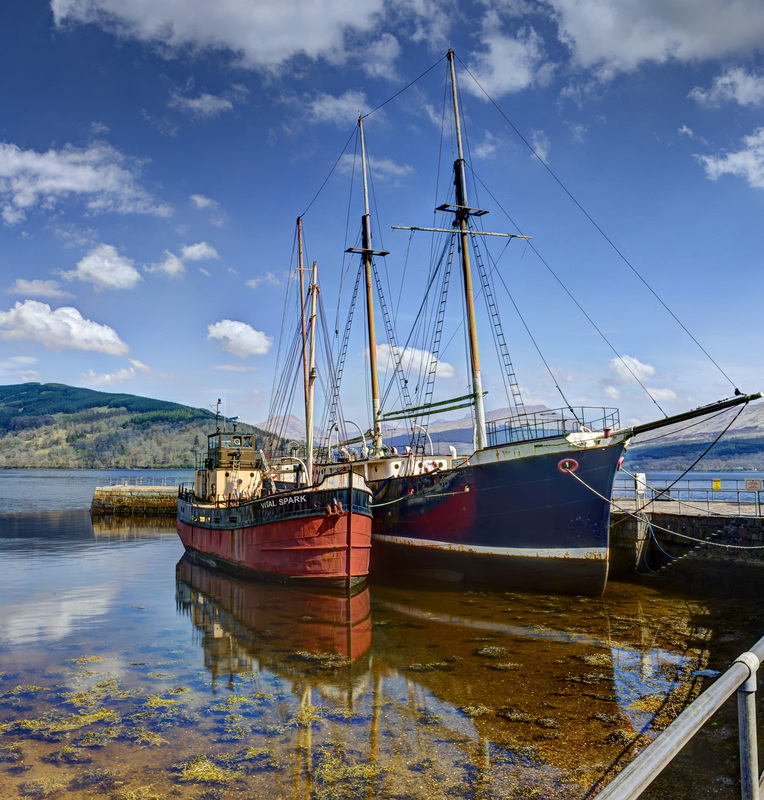 In 2016 it was reported the vessel had been moved to the Ardmaleish shipyard on the Isle of Bute where she was to undergo a refit to sailing ship of around £1.5million.